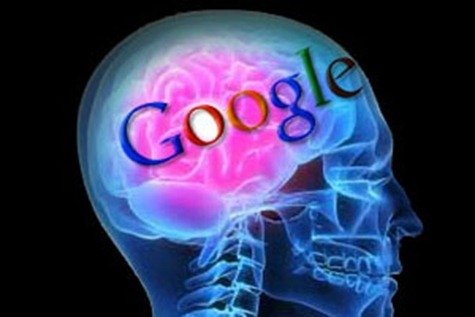 Your Brain on Google: I *Need* Those Devices! – EHFC Members Talking! We live in an environment saturated with digital devices. Increasingly we outsource primary mental functions to other processors and have become dependent electronic devices for even the most simple tasks (your brain on Google). You never saw someone so stressed as when the smart phone goes missing…we lost half our brain. The classic analysis of this phenomenon is Jonathan Carr’s amazing book “The Shallows” He documents in himself (and also through the history of mankind) how we increasingly have outsourced brain function to achieve greater efficiency (but unfortunately diminished capability). Ancient Greek poets could recite from memory poems that would take thousands of pages (or digital megabytes) to retain. Our current human is lucky if they can retain three phone numbers and what we should pick-up for dinner on the way home from work. Originally, this was “exosomatic” memory storage…write it down, publish it, record it so I do not forget. This trend began with writing tools and increasing literacy then accelerated exponentially as technology developed into the modern age. Now however, we increasingly access these devices not just for their memory but for their processing value. We “outsource” decisions in addition to data to our devices. Super scary: Our actual brain structures increasingly adapt also to merely scan information not process it deeply. How much technology does a modern pilot actually need to fly from one airport to another airport? I know pilots who’s required minimum equipment list includes at least an iPad and Stratus for a local VFR hop! What is your technological MEL?